If you’ve just learned that your baby, or another baby who is close to you, has Down syndrome, you are probably experiencing a wide range of emotions. The parents and family members of CRDSS know just what you are going through. The foundation of our community is our shared story about the unbelievable joy (and the scary unknown) of having a child who has Down syndrome in our lives. We understand and you are not alone. ​We welcome you to contact us with any questions and we would be honored to help you find the connections which will guide you on this new and wonder-filled journey. If you would like to speak to someone locally, contact our executive director, Heather House, at heather.house@centrecountydownsyndrome.org. We would love to bring you a welcome basket filled with goodies for your family. Of course, one of the best things about being a part of the CRDSS society is interacting with individuals of all ages who have Down syndrome. Through their wide range of inspiring abilities, personalities and accomplishments, you will see that the future for the child you love is wide-open and promising. So, if you are new to Down syndrome (or just new to the area), we welcome your participation in one of our upcoming events. To learn more about what we have planned for the year, see our events page. If you prefer small gatherings over larger social events, feel free to contact us and we’ll help you make a one-on-one with a family in the area. Just send an email to heather.house@centrecountydownsyndrome.org or call 814-364-2534 and someone will be in touch with you shortly. Thank you to the Down Syndrome Association of Greater Cincinnati for compiling this useful list of National Agencies working on behalf of individuals with Down syndrome. The Global Down Syndrome Foundation is a public non-profit 501(c)(3) dedicated to significantly improving the lives of people with Down syndrome through Research, Medical care, Education and Advocacy. Formally established in 2009, the Foundation's primary focus is to support the Linda Crnic Institute for Down Syndrome, the first academic home in the United States committed solely to research and medical care for people with Down syndrome. 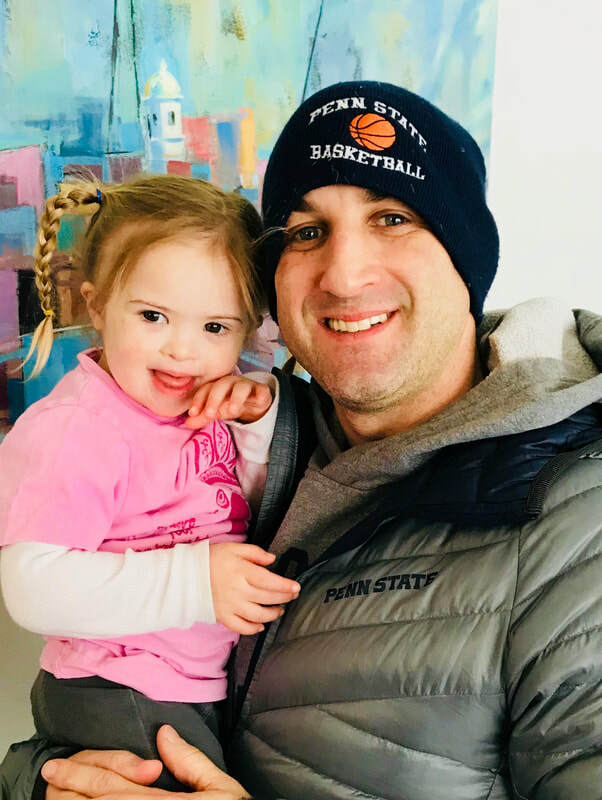 Since Down syndrome is the least-funded genetic condition in the United States, fundraising and government advocacy to correct the alarming disparity of national funding for people with Down syndrome is a major goal. The National Down Syndrome Society supports young researchers seeking the causes of, and answers to, many of the medical, genetic, behavioral and learning problems associated with Down syndrome; sponsors internationally renowned scientific symposia; advocates on behalf of families and individuals affected by this condition; provides information and referral services through its toll-free number; and develops educational materials, many of which are distributed free of charge. You are not alone in trying to find the best care and connections for your child and ultimately, your family. Please contact us with ANY QUESTIONS and we will be happy to talk with you and help you make the connections which will help your family. What follows is a list of professionals that many of our families have worked with in the past and is by no means a comprehensive list of competent professionals in the area who are able and willing to provide services to you or your child.